Quantzig, a leading analytics advisory firm that delivers customized analytics solutions, has announced the completion of its storyboard on the benefits of leveraging data and analytics for businesses. Companies across industries are increasingly adopting data analytics solutions to enhance their business operations. However, many companies still seem to think of analytics when it comes to fulfilling their business needs. 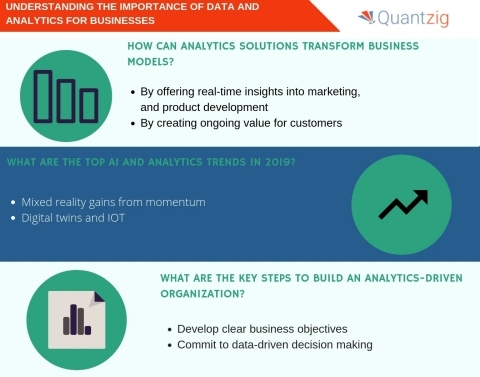 But to attain business goals faster, it is high time for businesses to leverage data and analytics solutions that can help them improve their approach towards data-driven decision making. #1: How can analytics solutions transorm business models?